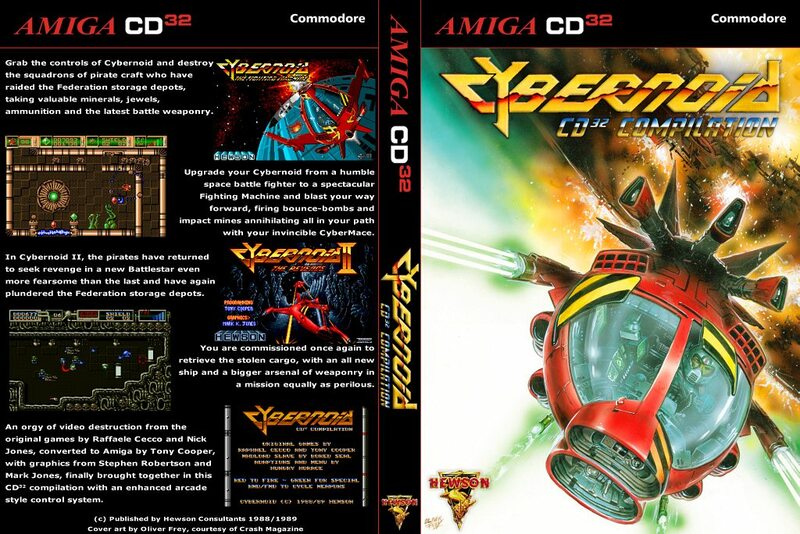 When I was contacted by Earok earlier today, I just knew a new Amiga CD32 release was coming, and sure enough here we have the ' Cybernoid CD32 Compilation ' by Hungry Horace. These are two fantastic games on the Amiga and more especially the first one Cybernoid, as it was first released way back in 1987 by Hewson Consultants for the Amstrad CPC, C64, ZX Spectrum and later the Amiga. In fact the first game was rated very highly by many magazines for a shoot 'em up in the 8-bit era, and more so for the theme tune by Jeroen Tel which appeared on the C64. 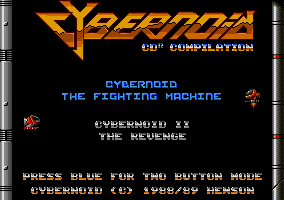 Now you too can play both of these awesome shoot em ups on a single Amiga CD32 disc, including the graphically improved sequel Cybernoid II : The Revenge which was also released by Hewson Consultants. Blast your way through multiple levels, destroy pirate space craft, collect gems and power ups and try not to get killed as these games are very hard! What a great pre-2017 release for the Amiga CD32 that wouldn't have happened it it wasn't for Hungry Horace and the rest of the team.